Raise Your Athlete's Game to Compete At Their Highest Potential. 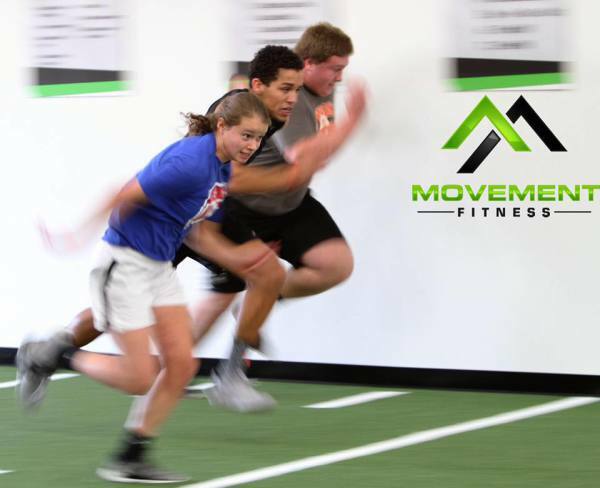 Movement Fitness has always exceeded our expectations. Justin is the Head Trainer and Co-Owner of Movement Fitness. He was voted the Best Personal Trainer in the Rock River Valley. He has been working with athletes for more than 14 years. A former college football player, he has trained D1 College Athletes in football, soccer, wrestling, hockey, and swimming. He has worked extensively with jr. high and high school athletes as well athletes training to Return to Sport following ACL tears.